Dailymotion has announced the launch of an app for connected TVs. 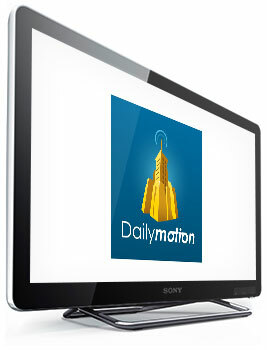 Website video sharing Dailymotion announced launch an application for connected TVs. These terminals are indeed becoming increasingly common in homes, sometimes even without that buyers are aware of the connectivity of their device. The application allows to view content Dailymotion directly on their TV without going through a computer. 30 million videos claimed by the platform would thus accessible to a larger number of terminals. A dedicated application is available on devices from Samsung and LG Electronics. Platforms such as IPTV Orange Foxxum Smart TV Portal, Uno Tivo or Roku. The company has announced plans to work with all manufacturers of connected TVs. The dedicated application is obviously more efficient in its use of the consultation website via a browser trivialized. In particular, Dailymotion indicates that the video playback is continuous integration with advertising spots as classics. Similarly, the interface has been simplified and adapted to be compatible with human-machine interfaces available on TVs. Suggestions and sorting, in particular, have been adapted to these terminals.